For girls- the Anita G floral skirt, t shirt and leggings in turq. For boys- the Wes and Willy double layer long sleeve t-shirt with a football on the front. Email us at support@cwdkids.com with your physical mailing address and name and we will get your $100 gift certificate sent out right away! Please remember to tell all of your friends to shop CWDkids.com for all their back to school kids clothing needs! Thanks to everyone else who posted. We will be doing other giveaways and posting coupon codes throughout the Fall so please keep reading kidbits! It is the end of the season and there are bargains galore! Don't miss this amazing sale.... shoes, shirts, dresses and more for $8 each! You can't beat the price. Stock up now for the end of summer or for next year. 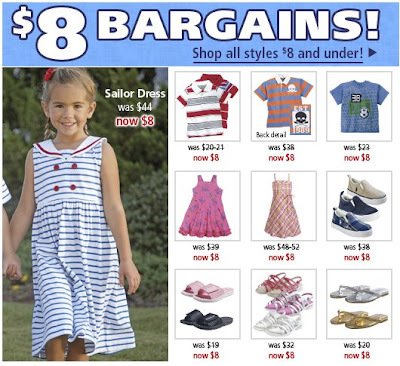 Click here to see CWDkids' $8 bargains! We also have included some other bargain items especially for our blog readers at this link... there are two Mom's Dresses for $12! 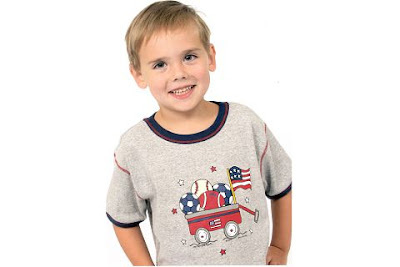 We love this Patriotic Sports themed t-shirt from Mis-Tee-V-Us. So does Michael....His mom says "he loves all kinds of sports so he thought the wagon with all the balls was cool!" 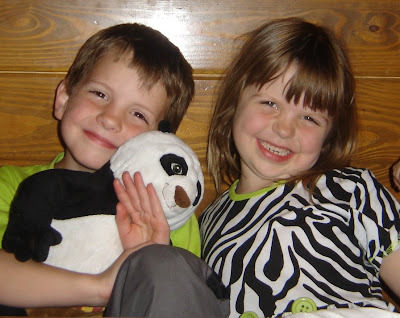 Send us photos of your children in CWDkids clothing to cathywdaley@cwkids.com. Tell us what you or your little ones love about the outfit and we might post it right here on our Kidbits Brag Book! Ready, Set, Win!! This week is the Bloggy Giveaways Carnival! Winner will be posted here by 2:00 PM on Thursday, July 31. Winner will have until midnight EST on Sunday, August 3 to claim their prize by contacting us via email at support@cwdkids.com. Click Here to check out all the other carnival participants. 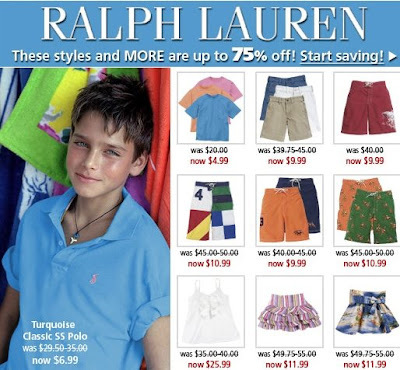 Select styles by Polo Ralph Lauren are up to 75% off! Click here to shop now... at these prices, quantities will not last! For our seventh staff profile, we are very proud to introduce you to Lewis. He has been working for the Klaus family since 1953. Yes, you did read that correctly, 1953. That is 55 years! If you have had a chance to read about CWDkids’ history, you know that Julius W. Klaus, grandfather of Philip Klaus Jr., started Richmond Dry Goods in 1911. Lewis was not around from the very beginning, but he does hold the record for the longest employment at CWDkids! He began making deliveries of bedspreads, towels and linens for Richmond Dry Goods to large department stores like Thalhimers and Miller & Rhodes here in Richmond, VA in the 1950’s. He continued working for Philip Klaus, Sr. in the Richmond Dry Goods’ warehouse until CWDkids was started in 1987. Today, you can find Lewis out on deliveries to our local stores or in the warehouse ticketing merchandise. He says that his favorite thing about working at CWDkids for so long is the people he works with. Many have come and gone while he has been here, but Lewis has a rapport with everyone! When he is not at work, Lewis loves to work in his yard… except during deer season when you will find him hunting pretty much every weekend. Having lived in Virginia his whole life, he loves the outdoors and says he is a “natural born country boy”. Sadly, Lewis’ wife of 49 years passed away several months ago. They would have celebrated their 50th wedding anniversary this November. Outside of his extended CWDkids family, Lewis also has two sons and four grandchildren. He is very proud to say that his only granddaughter is in the Navy and just arrived back in the US after a tour in Iraq! We would like to thank Lewis for his loyalty and devotion to CWDkids over the past 55 years! We hope to see his smiling face in our office for many years to come! When we asked customers to tell us what we could do to make CWDkids the first place that you go to shop for kids clothing, we received many terrific suggestions. We read through all of them and plan to make many of the requests a reality (we have already improved the "Continue Shopping" button on our cart page). The one suggestion that was made more often than any other was to offer Free Shipping and Handling. The staff at CWDkids are moms and consumers like you, and we do understand the frustration of having to pay for shipping. However, as a business, we must recoup the costs that we incur to mail merchandise to you. With fuel costs continuing to rise, we just cannot offer free shipping all the time. We do continually compare our rates to other children's clothing companies and we have tried to remain in line, if not lower than, most of our competitors. Our average order is $100 and for orders of $100 or more, our shipping and handling costs are lower than Hanna Andersson, Growing Up Garnet, Wooden Soldier, Chasing Fireflies, Olive Juice, and even Lands End Kids (a giant compared to our family run operation). We realize that there are other companies that do charge less, but we feel that we do try to remain competitive with comparable kids clothing retailers. A few that do get mentioned as having better shipping rates are Gap and Old Navy. They have 3,100 retail stores and revenues of $15.8 billion. If we are speaking in terms of fish in ponds, they are the whale and we are the guppy. They are huge and we simpy cannot compete with their ability to negotiate shipping rates. We also ask you to keep in mind the convenience of ordering online. No running around town searching at multiple stores for outfits only to discover that they do not have your size. You are also saving gas and in this economic climate, that can be a considerable cost depending on your proximity to retail stores. We appreciate your business and your understanding on this topic...and we do want to continue to give our blog readers special offers so do some back to school shopping early and you will not pay for shipping! Just enter code CEXB2S at checkout to receive FREE STANDARD SHIPPING ON ORDERS OF $100+ through Monday July 28 at midnight. Start shopping now at cwdkids.com. Offer not valid on previous or pending purchases and cannot be combined with any other promotions. 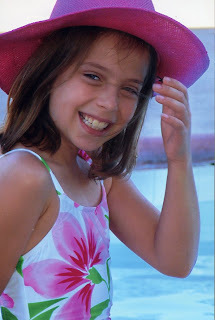 Eight year old Tatum wearing her favorite Plum Pudding Swimsuit and Hat from CWDkids. Tatum and her family moved off the coast of Pascagoula MS, one mile from the beach, after their home was flooded by the waters of Hurricane Katrina. They devastatingly lost many personal items in the flood including family pictures. This photo of Tatum, along with many others, was recently taken near their new home as her family captures new memories and rebuilds their family albums. Based on many customer comments to our support email address and on our first Gold Star Giveaway Contest post, we have made improvements to our "Continue Shopping" button in our web shopping cart! Take a look and let us know what you think... now instead of taking you back to the item that you just added to your cart, the "Continue Shopping" button will take you back to the large list of items that you were looking at prior to selecting that most recent cart addition. We hope that this small improvement will make shopping easier. Rest assured that this will not be the only improvement we make as a result of your suggestions. Many more are in the works. We will alert you here at kidbits when new improvements are made. And please feel free to comment here on our blog or send an email to support@cwdkids.com with any other ideas or suggestions that you may have to improve CWDkids! PS - Don't miss our Overstock Sale going on now! 31 summer styles are $9. But you need to hurry... quantities are limited! Taylor loves her CWD Kids Groovy Floral wet suit set because it is “cool and girly” and her mom loves the fact that it keeps her fair skin from getting burned! Do you have a picture you would like to share? Email it to us at cathywdaley@cwdkids.com and we might just post it right here on our Customer Photos Brag Book! Free Shipping - One Day Only! SORRY, COUPON CODE CEXFRE EXPIRED AT 5:00 PM EST. If you missed out, don't worry. We guarantee there will be another code just like it posted in the next three weeks. CEXFRE in the coupon code box during checkout. Each summer, CWDkids hosts a high school intern from the Powell Center for Economic Literacy - Cochrane Summer Economics Institute. We are lucky to have Lucy with us for the month of July this year and thought you might like to hear about her experience and background in her own words. At the end of my junior year of high school, I applied for an internship through the Cochrane Summer Economics Institute. The application gives students the opportunity to list interests, so my passion for interior and fashion design is probably what led to my placement at CWDkids. I started my internship at CWDkids on June 30 and have been working 4 days a week since then. On the fifth day of the week, I attend classes at the Powell Center with all the other interns in the program. During my time at CWDkids, I have met with staff in each department and have had a chance to learn what everyone does and how the company runs. So far, my days have been comprised of a variety of activities such as sitting in on vendor appointments with the merchandise team, working in the warehouse on quality control, and getting an idea of how the web site is setup and operates. I have also spent a day helping out at one of the CWDkids retail stores. I have to say that what I like most about my internship has been the staff! Everyone has been so welcoming, and taken time out of their busy schedules to show me the ropes. The charisma around the office is contagious and has allowed me to feel very comfortable from day one. I was born in Richmond and have lived here my whole life. I love it, but after college I plan to move to New York City and hope to land a job in fashion design and merchandising preferably in the interior design field. I really enjoy traveling and visiting new and exciting places. My favorite destinations so far have been France, the Bahamas, and New York although there are a lot of other places that I have yet to visit. Ultimately, I would love to move back to Richmond after experiencing other parts of the country because this is where my heart is. I have a 15 year old toy poodle named Smokey and a 5 year old cat named Sonny. In the summer, I love going to the river and tubing with friends. One of my most prominent childhood memories is when I would go skiing in Whitefish, Montana each spring break with family and friends. "This kidbits site is a nice idea. As for the fall outfits...I like to get similar outfits for my boys who are 4 and 5. I really like the Americana collection. 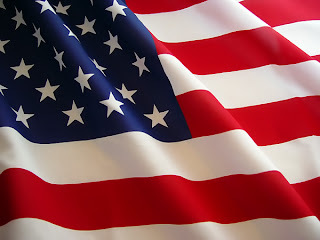 My husband is in the Marine Corps so we have lots of red, white and blue :) "
Congratulations Gump Family! Please email us at support@cwdkids.com with your mailing address and we will send out the Gift Certificate ASAP! Thanks to all who entered, we love reading your comments and ideas. Don't forget to keep checking back, we promise there will be more fun giveaways, sale alerts, and stories! I really liked your spring magazine. 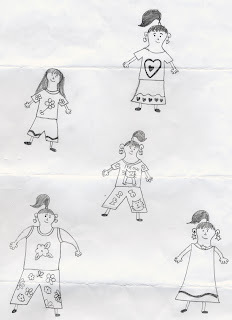 It inspired me to design my own clothes drawings. Here are some of my designs. I hope you like them." We think you did a terrific job, Alison. We hope that you will continue to find inspiration in our catalog. It is terrific that you enjoy creating your own unique designs and we love seeing them. Thanks so much for sharing your talents with us! How cute is this brother sister pair in their matching zebra tee and dress? Want to see your kids on Brag Book? *Send us photos of your children in a CWDkids outfit to cathywdaley@cwdkids.com. Include your story--Tell us what you or your children love about the outfit! We have a really great art school at Virginia Commonwealth University. That’s what brought me to Richmond in 1988. Initially interested in graphic design, by my sophomore year I decided instead to major in fashion design, with my senior portfolio being children’s wear. When it came time to start my career, I was drawn back to graphic design and the Washington, DC area where I had grown up. However, I was still spending all of my weekends in Richmond so after a year I moved back. I spent the next 7 years working for various ad agencies--stressed out and pulling long hours into the night--until 2001 when the company I was working for closed their Richmond office. Wow, I was out of a job (along with about 80 other people)! Turns out it was actually a lucky break for me and that summer I sent samples of my work to CWDkids. What a great way to tie together my graphic design experience with my interest in children’s fashion! Fortunately for me, the president of CWDkids thought the same thing and I started working in the creative department on September 10, 2001. I initially worked for our sister title, “Just Boys, Just Girls” but when that catalog was combined with CWDkids, I took on the role of Creative Director. While my job can be challenging and takes a great deal of organization, it’s never boring and I enjoy being able to leave at a reasonable hour to spend time with my beagle, Angus, and my sister’s family who live next door. I oversee the layout of 17 catalogs each year, “flat” photography of clothes, designing emails, and model photo shoots (including scouting locations, hiring models, and then jumping up and down to get them to laugh for the camera). Even after being here almost 7 years, I’m still one of the “babies” of the CWDkids’ family. The company has changed and grown through the years, but its commitment to its employees’ family lives has not wavered. I take my beagle-lab mix, Angus, to daycare every day. I am fascinated by Mount Everest even though I am not a mountain climber. My sister gave me a book about the Annapurna region of the Himalayas and I have promised myself to go trekking there one day. After a summer road trip to New Orleans in 1994, I fell in love with the city and have returned 8 more times since. I even decorated one of the rooms in my house with a New Orleans theme, complete with wrought iron and walls that look like plaster crumbling off to reveal brick underneath. Scroll down for rules to enter our $200 Gift Certificate Giveaway! I wanted to mention my reasons for submitting their story in the first place. The day after I took the picture of the 4th graders holding the over-sized donation check for Smile Train, I received an email from CWDkids clothing company. I assumed it was regarding a clothing sale or even general spam, but I gave it a quick glance and the first line of the message caught my eye. It said, "Do you know of a child who has helped make a difference in their community? If so, send us their story." I thought, "I sure do...in fact I know a whole classroom full of them!" The article mentioned that the prize would be a donation made to the child's organization or cause that was being supported. The deadline for entries was the end of April, so I printed out the email and put it in the towering "to do" pile. Then, as many of you now know, our lives changed on the first day of Spring Break. Avia's 9-year-old cousin, Caroline, suddenly and unexpectedly died, due to reasons that are still not fully understood by the doctors and pathologists. We are devastated at how such a vibrant and apparently healthy child one minute, could suddenly be gone the next. When we returned to the U.S. after her funeral and were confronted with everything that had piled up in our absence, I went through the "to do" pile, and amongst other things, tore up the page I'd printed out about the contest. How superficial such a thing seemed now. It was the least important thing in the world. I've been doing a lot of thinking this past month about the big questions in life: the purpose of our lives however long or short, what it really means to be a parent, priorities in life, and beyond all, the legacy of a child's life. I realized that even though Caroline was only here for 9 years, that she had left a legacy with everything she did, through everyone who knew her, in every way that she interacted with and helped those around her. I realized how children make such a large impact on the world around them, and how critical it is to recognize, witness and honor that. 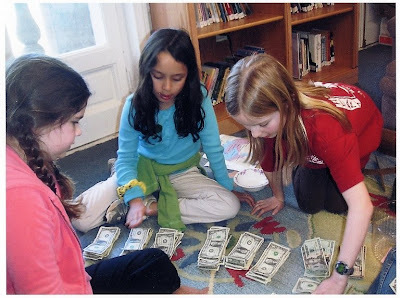 It was with this mind-frame that I realized how important, not trivial, it was to recognize and honor what the 4th grade class did through their fundraiser, and to tell their story. This is one mark that they have already left on the world, even at such a young age. 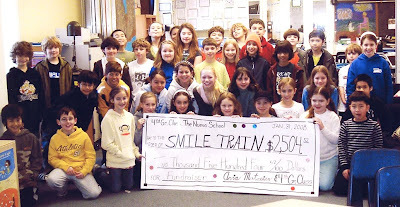 Their efforts have helped improve the lives of other children around the world, and the momentum of their actions is continuing to build through this $5,000 award to Smile Train, and the ongoing awareness the article will bring for the Smile Train organization. CWDkids told me that they received several hundred entries for this contest. It is heartening to know that they are supporting children's volunteer efforts, and even more important to hear that so many children are doing their part to make a difference in this world. 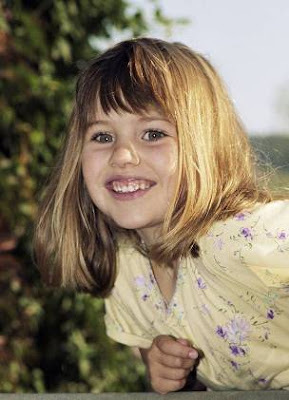 In loving memory of Caroline, 9 years old. It's hot outside. In our neck of the woods it's really hot. 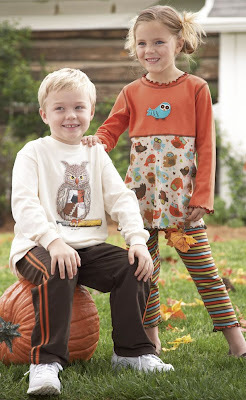 We know it's hard to imagine, but "Fall" has arrived at CWDkids and we want to know what you think about our new line! Click here for an early look at our Fall/Winter collection and tell us which items you love. What would you buy for your kids if you had an extra $200 to spend? One lucky winner will be randomly selected to receive at $200 gift certificate to spend any way they choose at cwdkids.com or through our childrens clothing catalog. You have from July 10th until midnight EST on Monday, July 14th to enter. Just make a comment ON THIS POST to enter. If you add the kidbits link to your blog roll, you will be entered twice in the giveaway! Just leave a comment letting us know we've been added with a link to your blog, and you will be entered in this giveaway twice. The winner will be randomly picked and announced at the the top of the kidbits blog on Tuesday morning July 15th. Don't forget to send us your pictures--We want to see your children in CWDkids outfits! We will periodically be posting them on kidbits bragbook! Email us at cathywdaley@cwdkids.com. CWDkids Care Contest - Winner! Winner - Avia, from San Mateo, CA. Each year on her birthday, Avia expresses her appreciation for all she has in life by making a donation to a non-profit organization. This year, 9 year old Avia heard about Smile Train and went to their web site to learn more about their work. Smile Train is an organization that provides free corrective surgery to children in developing countries who have been born with cleft lips and palates. Avia was shocked by the stories of children who have lived with this condition. In many countries, it is considered an evil sign or a curse to be born with such an affliction, and many babies are abandoned because of this. They can be mercilessly taunted and teased, and many are not allowed to go to school or even hold a job later in life due to their different appearance. A cleft lip or palate can impair a person’s ability to eat, drink, and even speak. These desperate children face a life of shame, isolation, and heartache. So, she made a presentation to her 4th grade class. She told them about Smile Train and the children whose families and caregivers can not afford medical attention. She asked if anyone wanted to help her raise money--her goal was $250, the cost to cover surgery for one child. 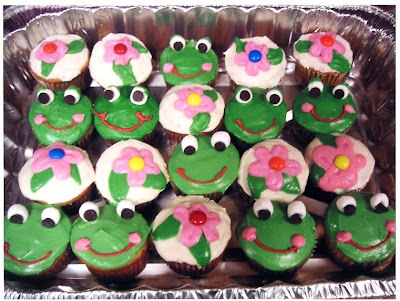 The entire class wanted to join her, and they decided to organize a bake sale. Avia and her classmates got to work. They sent emails to friends and family, posted articles in the school newsletter, and plastered the campus with fliers announcing the fundraiser and upcoming bake sale. There was a tremendous outpour of support as teachers, parents, and even the students themselves baked up goodies by the dozen. The goal was $250. 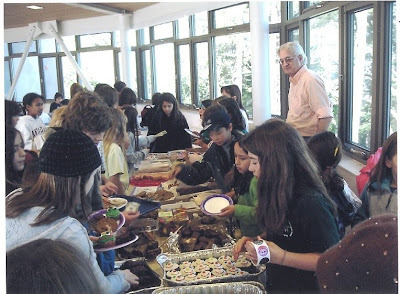 Through two bake-sales, individual donations, and a lot of hard work, Avia and her classmates exceeded their expectations and raised an astounding $2,504.52! The children were thrilled that their donation to Smile Train would provide TEN children with corrective surgery. CWDkids chose Avia and her classmates as the grand prize winner of our contest, and donated $5,000 to Smile Train on Avia's behalf. Thanks to Avia and her classmates, 30 children will have new smile....and a new life. Thank You Nueva School!! We were so excited to inform Avia and her family that out of a few hundred entries, she had been chosen as the CWDkids Care Contest winner. Avia was at school at the time, but we spoke to her mother, Renee who was moved to tears, for more reasons than one. We discovered after speaking to Renee that our phone call could not have come at a better time for their family. 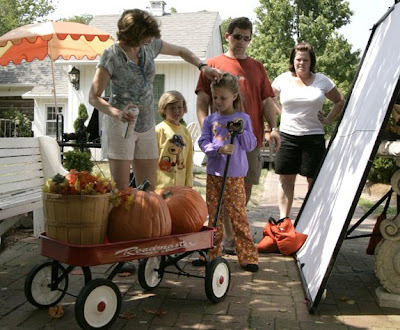 Show & Tell Tuesday - Behind the Scenes at a CWDkids' Photoshoot! In our effort to give you an insider's seat in the CWDkids' offices, we are letting the BIGGEST CAT OUT OF THE BAG today! You are about the get a sneak peek at what really happens on our photoshoots. We hope that you will enjoy this little glimpse into our creative department. If you have any questions or feedback about our photoshoots, please enter a comment on this post. One question that we get all the time is about modeling opportunities so we will go ahead and tell you that we use several agencies in the Richmond, VA area. If your child is interested and you live in the area, we recommend that you get involved with a local agency. Shot #1 - What perfect lighting you have! You may be surprised at how old the two models in the photo below appear to be... OK, the secret is they are not really models... our Creative Assistant, Cathrine, and the photographer's assistant, Chris, were made to kneel at kid height so that the lighting could be set prior to pulling the kids into the limelight! Below is the final shot... we think they are much cuter than our stand ins above (sorry Cathrine and Chris!) By the way, if you are interested in these outfits by Mis-Tee-V-Us, click here to purchase now. Yes, even kids (especially when they have just arrived from school or play) can have bad hair days! We have a stylist on set to tame those flyaways and set the "natural" look with a little dose of hairspray. Shot #3 - Parking lot or Fashion Runway? You decide! This may be one of our favorite shots to share. Would you ever have thought that such a terrific final photo would have taken place in the small area between the light board and an SUV? Our final secret is that while our models appear cool as cucumbers, you can tell by our staff, the weather was not really the perfect crisp autumn day. Temperatures were in the 90s so fans and water were both plentiful. 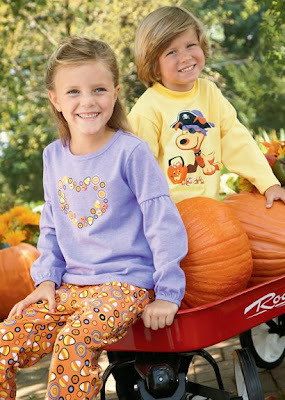 By the way, the Halloween apparel featured in shots #2 and #3 will be available Exclusively at cwdkids.com starting in August. We hope that you have enjoyed this little sneak peek. If you have any snapshots from your own photoshoots of your kids in CWDkids clothing, please send them to cathywdaley@cwdkids.com . We may feature them on Kidbits in our Brag Book. Here she is 14 years later! 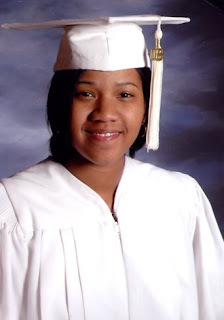 Whitley, now 18, graduated from High School in June. Whitley is planning to attend Norfolk State College in Norfolk, VA this fall...but before she heads off to school to hit the books, she is looking forward to relaxing one last time during her vacation in the Bahamas this summer. What More Can We Say Today? Happy Fourth of July from all of us at CWDkids! If you have stories or pictures of your kids celebrating in their CWDkids outfits, please send then along to us at cathywdaley@cwdkids.com. We will be periodically posting photos we receive in our Kidbits' Brag Book. You Asked - We Added Infant Sizes! After getting so many comments during our first Gold Star Giveaway asking that we add more infant sizes, we are thrilled that we are able to offer infant sizes in one of our most popular items starting now! Sara's Prints Pajamas for boys are now available in sizes 12M, 18M, and 24M in addition to the 2-16 size range that we have always carried. There are also some terrific new patterns like pirates and space ships. Take a look and let us know what you think. We will also be offering these same infant sizes in the Sara's Prints Ruffle Top & PJ Pants for girls in mid-July.While our plan to carry infant sizes in these Sara's Prints styles was already in the works, since receiving so many comments, we have been diligently scouring our resources to find more infant items to match other brother/sister coordinates that we are carrying this Fall. We will be adding infant pieces to our zebra and giraffe sets soon and are on the lookout for others as well. Are there any specific items where you would like to see us add a coordinating baby romper or bubble? We are listening and will try our best to keep looking for infant sizes where available. Please help us to spread the word about our new infant sizes. The more people that buy these sizes, the more we will be able to offer in the future! Runner-up: Lexi, from Richmond, VA.
Seven-year-old Lexi heard of a local charity, Chattering Children, and wanted to help. Chattering Children is a non-profit organization that serves children with hearing loss. With the help of Chattering Children and her family, Lexi decided to collect old cell phones in hopes of raising money for the organization. She placed fliers in all of the mailboxes of her neighborhood, with 400 homes, asking people to donate their old cell phones. She also set up drop-off sites for the phones at several local businesses and elementary schools and gathered them as they were donated. 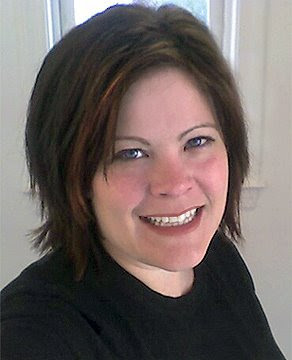 The cell phones started coming in and her campaign became so popular that the local newspaper, the Richmond Times Dispatch, picked up her story. The newspaper article helped spread the word even more and Lexi was able to collect 1,200+ cell phones! The phones were given to Second Solutions who recycled them and donated $5,500 to Chattering Children. Lexi continues to find ways to help other organizations as well. She collected 815 used books for Books on Wheels and sold lemonade raising $400, which she donated to the victims of Hurricane Katrina. Recently, she adopted a cat, Angel, from C.A.R.E. (Cats Adoption and Rescue Efforts Inc). 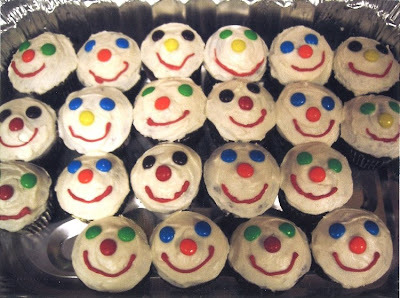 At CWDkids, we know how exciting a birthday can be...We just turned 20! It's all about your kid's on their big day--why not let them celebrate their birthday in one of our brand new cotton "Number" T-shirts. Also - it's been a while, but they're back! Big or Little, your children can match and proudly sport their place in the family by wearing our Siblings Tie-Dye Tees. The sibling tie-dye tees are a CWDkids Exclusive, and better yet, they are Made in the USA! Don't forget to top off the day with a piece of cake! Girls will love this adorable Birthday Cake Purse to complete the look.